Tana L. Utley, vice president of Caterpillar, delivered the keynote speech to more than 150 thought leaders from around the world who came together for the RIC-RIT World Remanufacturing Conference on Sept. 19-20. 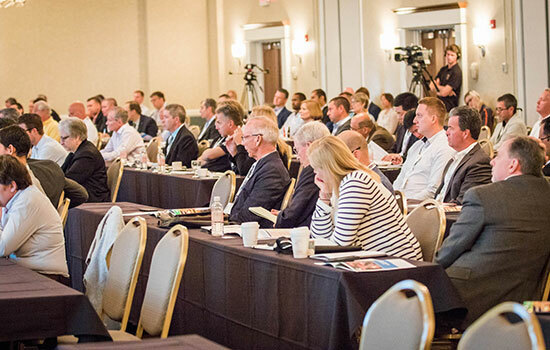 More than 150 thought leaders from around the world gathered in Rochester last week for the RIC-RIT World Remanufacturing Conference, receiving the latest briefings on emerging trends and issues of critical importance to the remanufacturing industry. RIT hosted the event at the RIT Inn and Conference Center Sept. 19-20 in partnership with the Remanufacturing Industries Council, an alliance of businesses and academic institutions that works across industry sectors to support the entire remanufacturing industry through a combination of collaboration, education, advocacy and research. The conference, which RIT hosted for the second consecutive year, drew attendees from such regions as the United Kingdom, South Korea, China, Sweden, France, Germany and Singapore. 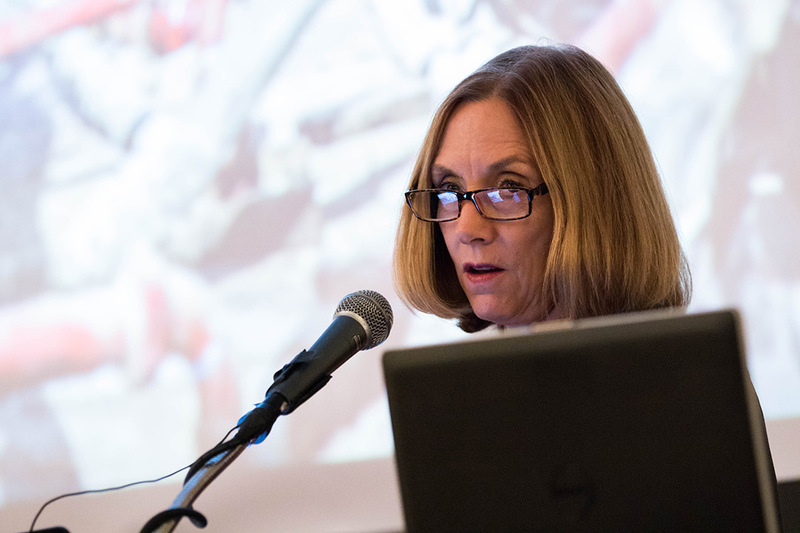 The conference featured a keynote speech by Tana L. Utley, vice president, Large Power Systems Division, Caterpillar, who called upon conference attendees to work together to create a global business environment that will ensure the success of remanufacturing going forward. The circular economy refers to an industrial economy that is restorative by intention and eliminates waste through thoughtful design. RIT, as a Pioneer University, is a member of the Ellen MacArthur Foundation’s Circular Economy 100 (CE100), a global platform bringing together leading companies, emerging innovators and regions to accelerate the transition to a circular economy. During the two-day conference, attendees learned about key areas in the industry, including the latest developments with the RIT-led Reducing Embodied-Energy and Decreasing Emissions (REMADE) Institute, a Manufacturing USA initiative involving a public-private partnership that is advancing promising remanufacturing technologies to drive down the cost of technologies essential to reuse, recycle and remanufacture materials; the state of remanufacturing in Asia, Europe and the Americas; as well as market access and policy. Remanufacturing is an industrial process that restores worn and discarded products to a like-new or better-than-new condition. The restoration is a high-quality process through which products are systemically disassembled, cleaned and inspected for wear. Damaged components are replaced, feature updates can be incorporated, and the product is reassembled. Reliability testing is performed to ensure performance meets specifications, a measure that is further enhanced today with the new ANSI standard, RIC001.1-2016: Specifications for the Process of Remanufacturing. Remanufacturing is being increasingly recognized by companies as a necessary step toward a sustainable circular economy and an efficient method for capturing a significant percentage of the materials and the labor, energy and manufacturing processes embodied in original products.